FLATBUSH – Growing up as the daughter of immigrants in Flatbush, Ashley August hid her dreams of being a performer from her parents using the duffle bag she carried her high school volleyball uniform in. “Nothing really fit,” August said. “But it was always like, ‘I would love to play a doctor on TV.’ That was what I wanted to do. I wanted to be an actor.” Her parents knew she was playing on the school volleyball team, so August took the opportunity to pursue her passion. “Every day I would leave the house with my duffle bag going to volleyball practice after school. But after our season ended in October, I was actually going to a non-profit that gave free classes to young people who were interested in the arts,” she said. That Google search launched August’s entry into the spoken word movement in 2009. 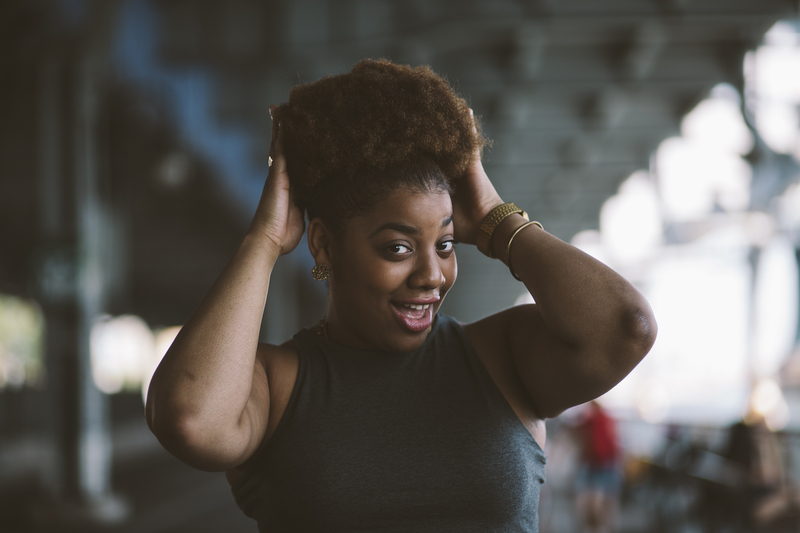 She qualified as a finalist in the Urban Word Grand Slam, became a New York City Poet Laureate, and was selected by the New York Times for the 30 Under 30 Most Influential list. She has been busy with acting roles, including an appearance on the Netflix series Orange is the New Black, but she returns to her roots in rap and poetry for BAM’s annual celebration of those arts, which focuses this year on female voices. The three-day event (April 13, 14, and 18) also features Brandi “Cipherella” Stephney, LATASHA, and the California hip-hop dancer and rapper Medusa. They will be joined by the winners of a student competition, and the series also includes a beatbox workshop and panel discussion. August’s appearance on Orange is the New Black was a one-off, but she’ll be returning to the screen in another Netflix role. She can’t share the details of that project yet, but she will also be appearing on the HBO series The Deuce. She’s currently working on a book inspired by her own experience as a young actor trying to win roles. Word. Sound. Power. 2018 is directed and hosted by Baba Israel and takes place in the Brooklyn Academy of Music’s Fishman Space at 321 Ashland Place. Tickets for the 7:30pm shows on April 13, 14 and 18 are available online.